The 82-game NBA regular season has concluded, and it is now finally playoff time. Personally, I look forward to the NBA Playoffs every year, as we get to watch the best players on the planet battle it out nightly for a whole month. The Eastern Conference has become the LeBron James Invitational over the last six years, but with some formidable opponents presenting themselves in Boston, Washington, and Toronto, some believe this is the year the King finally falls. Not so fast, if you ask me. Anyway, let’s get into my first round predictions for the Eastern Conference. This is my series to watch in terms of an almost unprecedented upset in the NBA Playoffs. Rarely do we see an 8,7, or even a 6 seed upset their opponents in a seven game series, but the Bulls have the makings to do it here. With Jimmy Butler, the Bulls have the best player in this entire series. And while the Celtics enjoyed a ton of regular season success this year, they have yet to show that they can win even one playoff series under Brad Stevens. Still, I got the Celtics winning this series in six games and advancing to round two. The Pacers have given the Cavs some trouble this season, most recently taking them to double overtime on their home floor. But, like any series the Cavaliers will be in this year, they have the best player on the floor at all times in LeBron James. I think Paul George goes off in a couple of these games, specifically game three in Indiana, to make this an interesting series in spurts. The Cavs are the better team, however, and should have little trouble getting by the Pacers, despite their recent regular season struggles. I got the Cavs over the Pacers in 5 games. The Greek Freak in a playoff series. That alone should be enough to peak your interest. Still, it won’t be enough to get past the Toronto Raptors, who have quietly made some solid roster moves this season to get themselves back towards the top of the Eastern Conference. The Bucks are a fun, young team and will be a force in a few seasons. But not right now. Regardless, I think this will be an exciting series with a lot of back forth. I got the Raptors advancing to round two in 7 games. Finally healthy and clicking as a unit, the Washington Wizards played great basketball down the stretch to make up for their horrid start to the season. 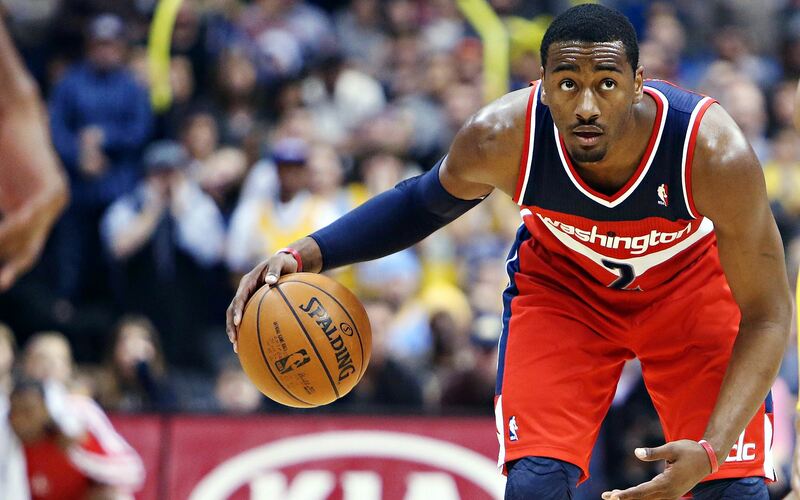 With John Wall at the helm, the Wizards proved that they can compete with any team in the East, and should challenge the Celtics in round two. The Hawks had some impressive wins over the final week or so of the year, beating Cleveland twice, but won’t have enough to upset Wall and Bradley Beal in this series. Give me the Wizards over the Hawks in six games.